Coming Soon - back - isn't that a fabulous fabric? The second one is a panel quilt that is for a baby shower. This is the first quilt that I've made that is flannel on the front and back. Usually only the back of mine are flannel. I even used flannel for the binding. Cute little owls. Hobbs polydown batting, Bottom Line on top and in bobbin. I used aurfil invisible thread to outline and SITD. And the last one I'll be sorry to see this one go. I LOVE scrappy quilts and this one had so many different fabrics. 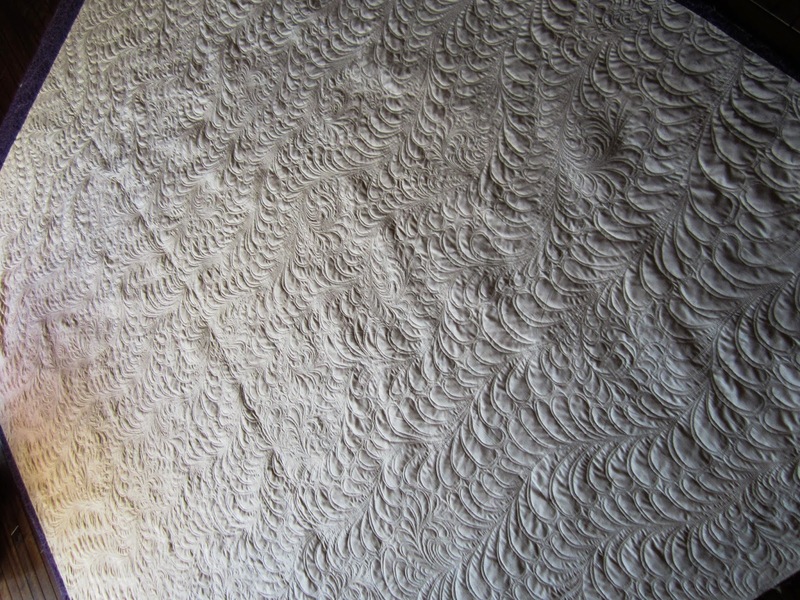 I quilted all over feathers on this one. Warm and natural batting, Glide on top, bottom line in bobbin. I've got another scrappy quilt on the frame waiting for some feathers. Don't forget to check out all the linky parties on the side bar. And if you haven't already signed up for Hands 2 Help 2014, it's not too late. It's too late for the sign up prize, but there's plenty more prizes at the end. This year there are 3 wonderful charities. I've signed up for 1 per charity, but I"m hoping to have a couple sew ins before June, would be nice if I could get 3 per charity - wouldn't that be great? It's a stretch goal. Its' the first button on the side bar, go take a look. 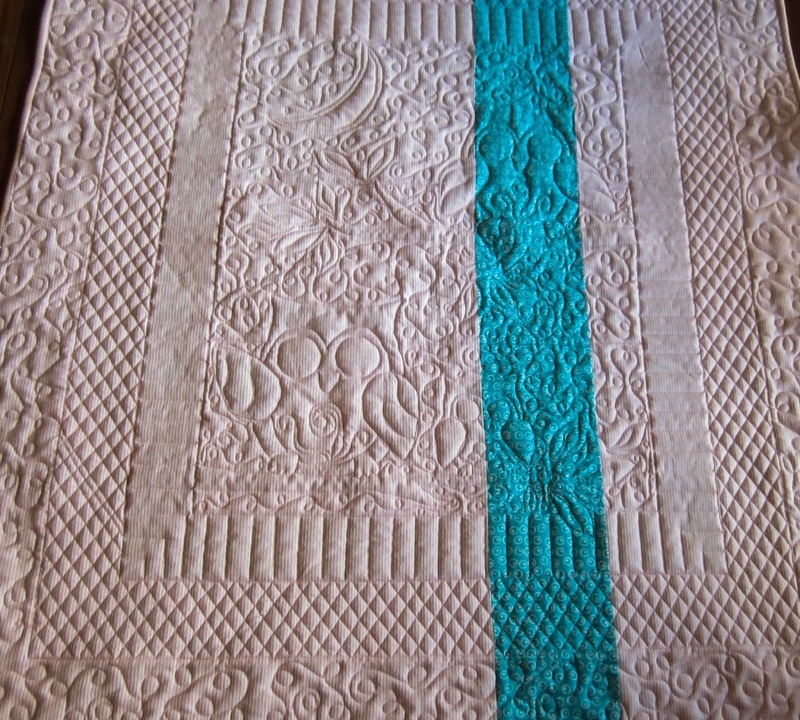 I'm donating quilting up to a queen size quilt as one of the prizes. I have 2 quilts done already, as I was anticipating this coming up. I'll show those next week. I sure hope this Monday is better than last Monday. I left my coffee on the counter Monday morning. That was one long train ride to the city without coffee. I'm hoping it's one of those things that only last once. I think they need a coffee car on the train - there's gotta be a market there waiting for people like me. 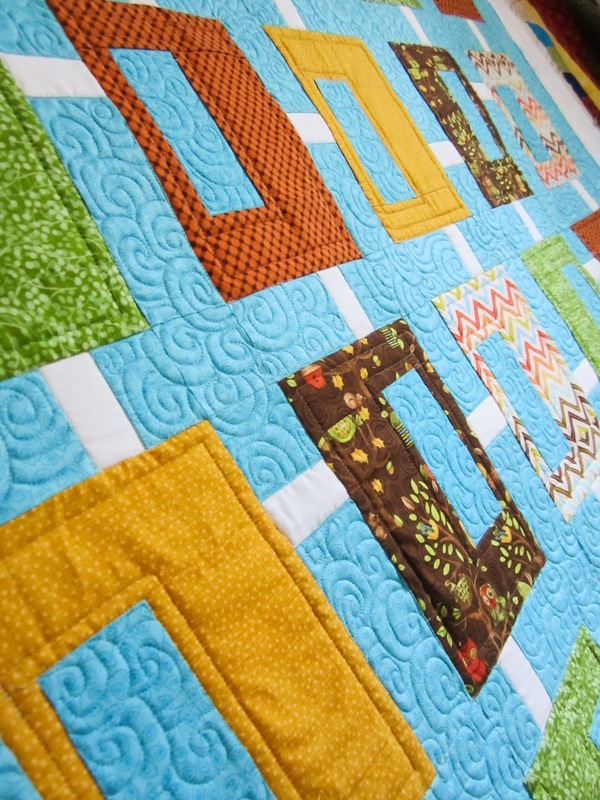 Your quilting just makes everything 'shine'!! I would love to win that quilting, but then I would have to make a queen size quilt. Love these quilts! Don't forget your coffee. Congrats of those fine finishes. 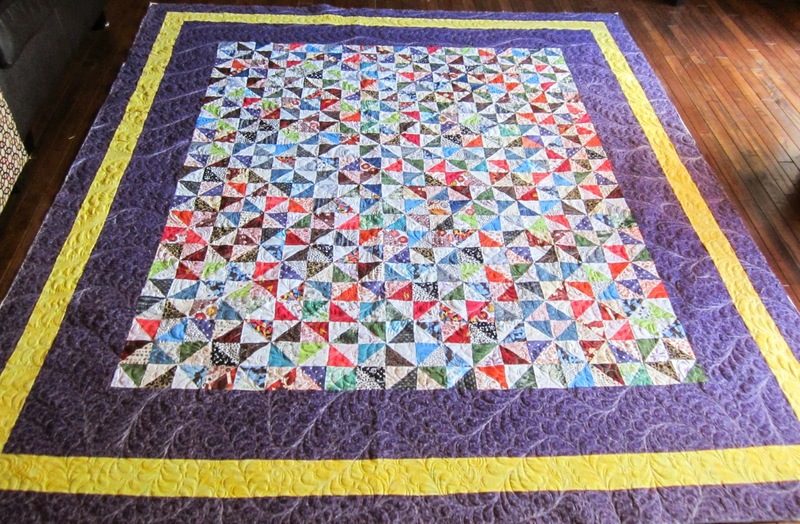 Thanks for sharing your quilting work, lovely work. Always inspired when I stop by....wonderful finishes...love those little owls. I know...is Spring ever gong to arrive???? Your quilting is amazing! Love the texture it adds. Your quilting is wonderful. Hopefully you have time to also do some for yourself. The quilting is perfect on each quilt! I hear ya, gotta have my morning coffee too! Even the back of your quilts are a work of art! Beautiful!! Your quilting is extraordinary. I can only imagine how exquisite it would be, in person. You've taken beautiful quilts and made them sensational. 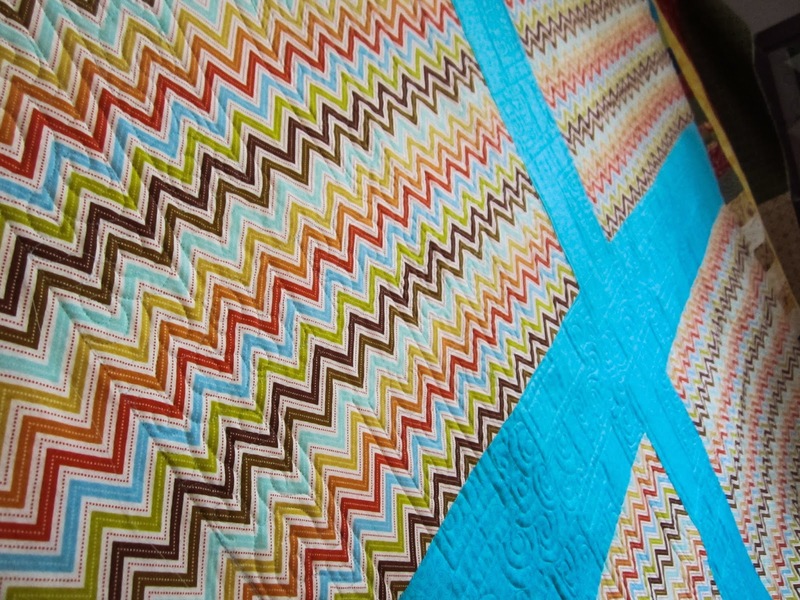 Wonderful quilts and spectacular quilting! love the quilting. So pretty! Great job on all of the quilts. I really love the outlines on the owl pannel. 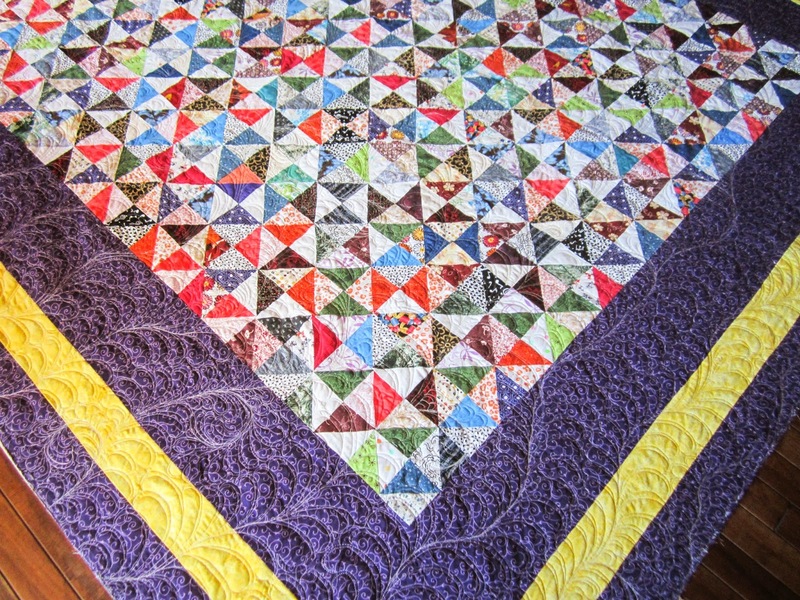 Oh my gosh...those small pieces all quilted together so perfectly! You inspire me to work with smaller pieces...I have a postage stamp quilt in the works (collecting pieces) I hope t be able to do as well! Thanks for the inspiration! Your quilting for each one is simply perfect. I really adore that flannel baby quilt. Looks so soft! But that last one? What a scrappy beauty!!! Your quilting is fabulous! 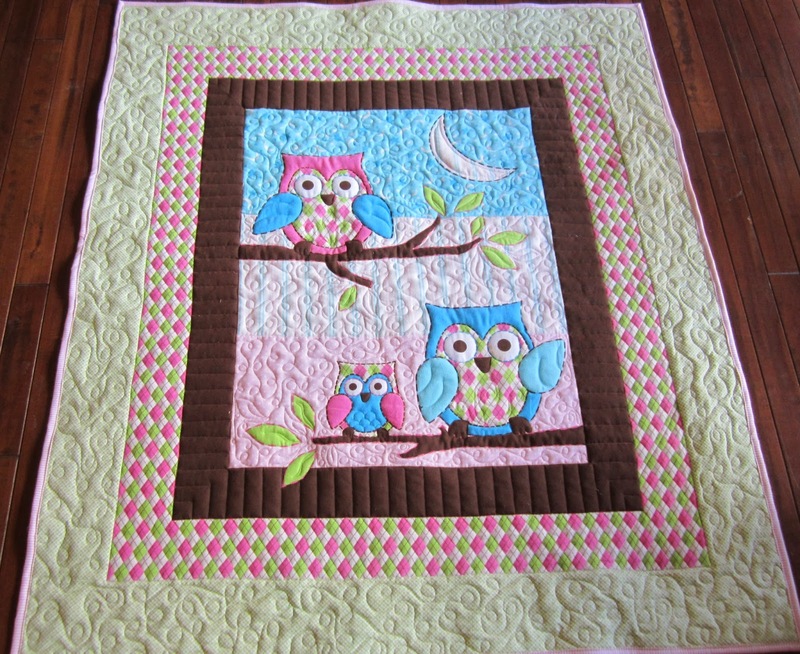 I love that owl quilt and I wish I could take a nice long look at all the fabrics in that scrappy one. They all look really fabulous! So sorry about the coffee booboo but I'm guessing that you'll make sure that doesn't happen again. 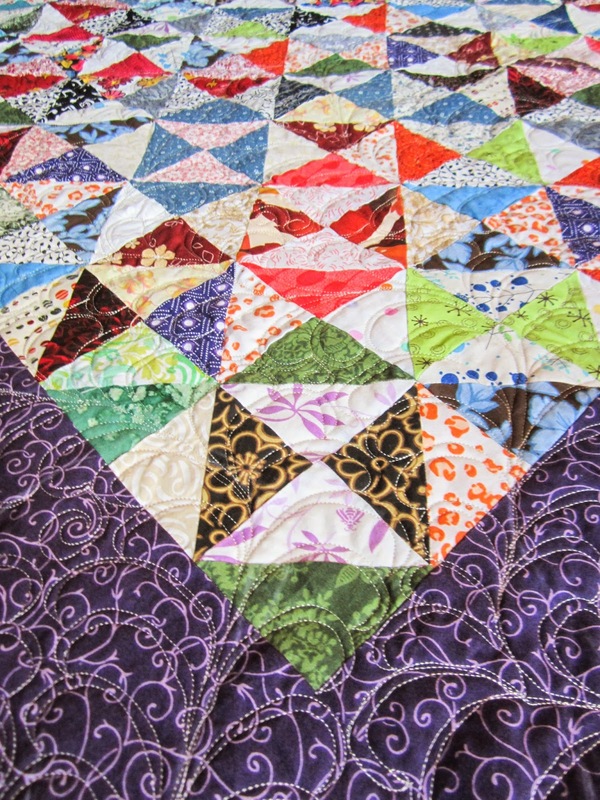 Scrappy quilts are my kind of quilt and what a nice quilting! I love those feathers. oh my gosh Sue! 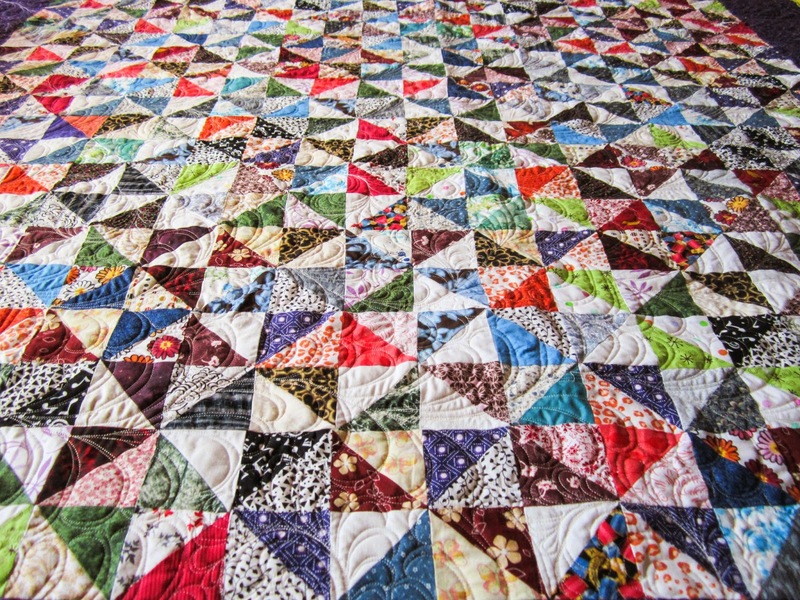 Your quilting is absolutely stunning! love those owls!